Apryl here with the FotoBella design team sharing a card tutorial today using Bo Bunny's Juliet Collection from FotoBella.com. A lot of this card is made with the fabulous Ephemera pack. Gotta love that Ephemera, especially from Bo Bunny. 1. 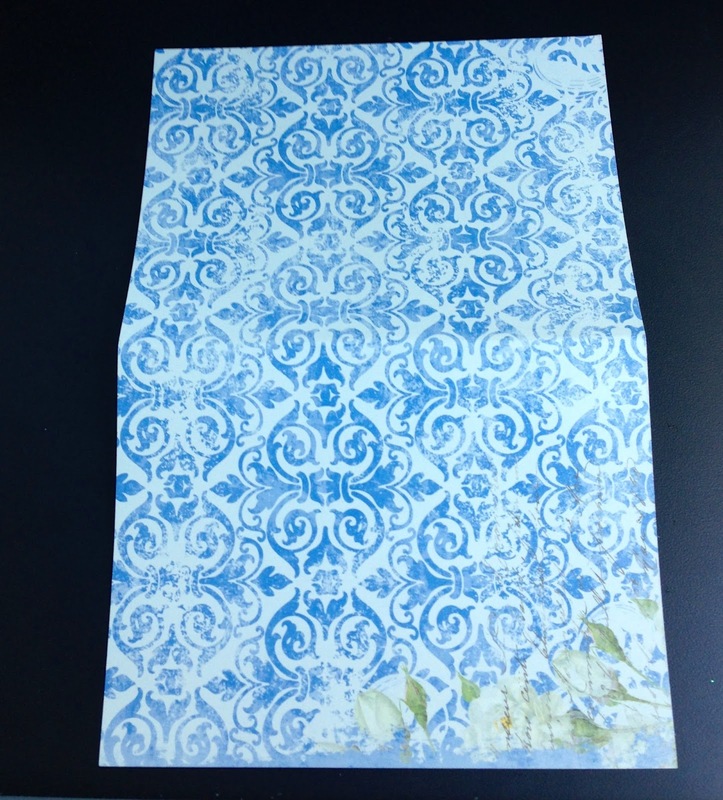 Use the piece of blue and white patterned paper from the Ephemera pack. 2. Fold the paper in half to create the base of the card. 3. Select the strip of red chevron patterned paper from the Ephemera pack and place in the middle, but slightly towards the bottom of the base of the card. 4. 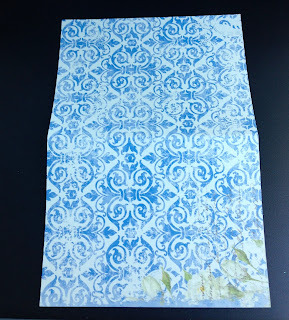 Then select the strip from the Ephemera that is cream and green/blue that looks like a sort of door pattern and place it on top of the red strip. 5. From the Noteworthy pack, select the red rose and the red polka dot paper ribbon strip and layer on the card. 6. Select the cream/white rose from the Noteworthy pack as well and layer it slightly over the red rose. 7. Before you glue everything down, run brown ink over the edges of all the pieces, including the base of the card. Gives it a really nice antique type look. 8. After gluing all the pieces down, select the layered chipboard sticker and place at the bottom of the layered flowers. 9. Place the key sticker on the bottom right of the polka dot strip. 10. 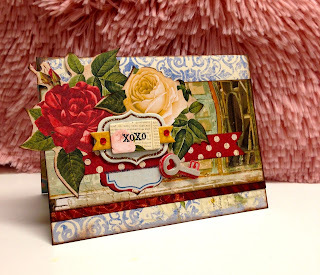 I used a rub on for my sentiment “XOXO” and place it right over the rectangle chipboard piece of the embellishment. 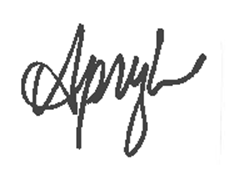 You can use a stamp or even hand write a sentiment if you like. Enjoy making your card and have a fabulous day! This card is just STUNNING! WOW!